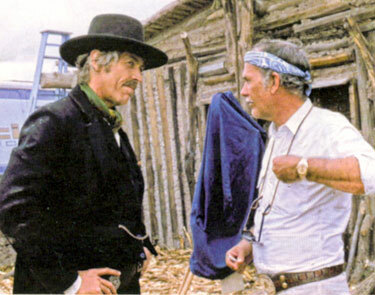 James Coburn and director Sam Peckinpah discuss a scene while making “Pat Garrett and Billy the Kid” (‘73). 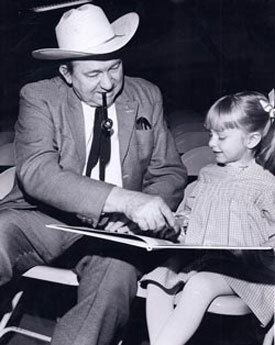 Tex Ritter helps young Heather Moore read her storybook backstage while waiting to go on for a show at the Denver Red Rocks Amphitheater. 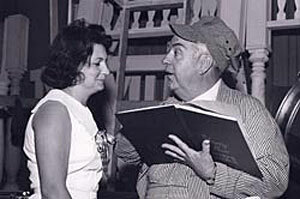 Smiley Burnette with a Nashville rep Jeane Matthews in 1965. 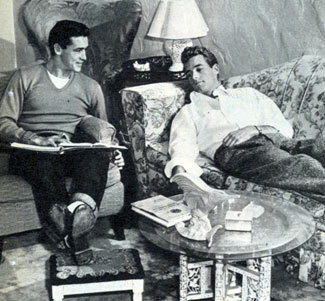 A pre-Wild Bill Hickok Guy Madison and younger brother stuntman/actor Wayne Mallory relax at home in 1947. 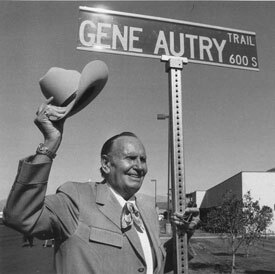 Palm Springs, CA, in 1984. 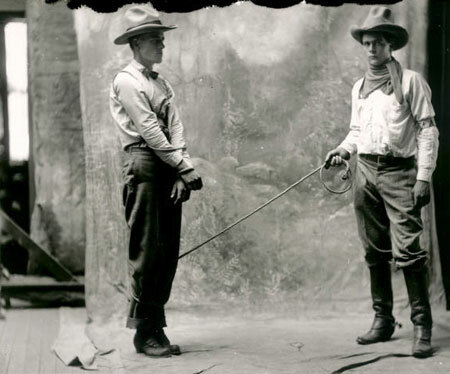 Picture Company film in Albuquerque, NM, circa 1914. 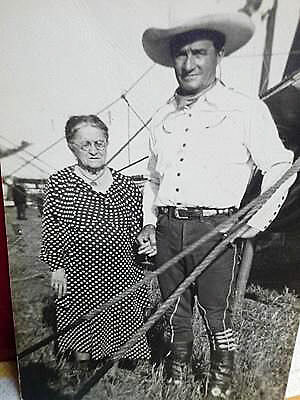 Bill Elliott seems to be chiding Allan “Rocky” Lane about his five o’clock shadow. 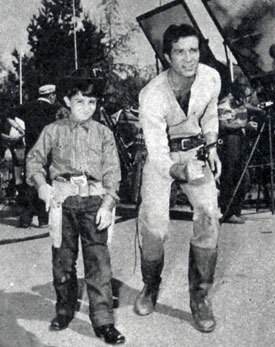 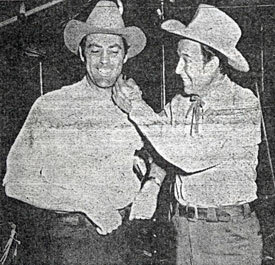 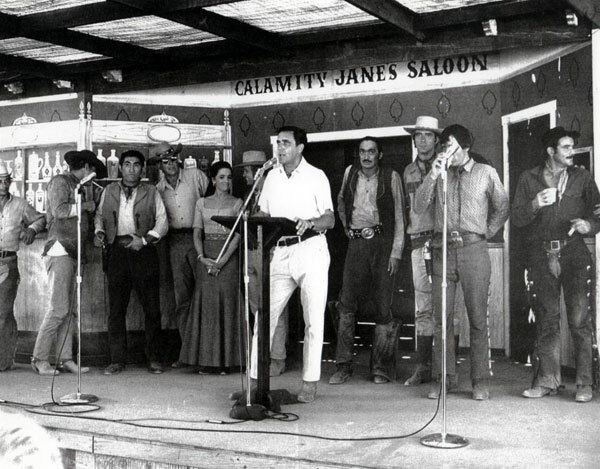 Lane was visiting Elliott on the set of “The Last Bandit” (‘49). 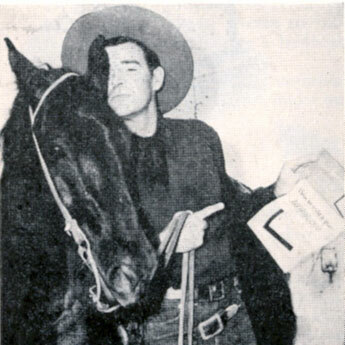 Rod Cameron feels it necessary to explain to his horse about the savings bond drive they were taking part in from May 15-June 30, 1949. 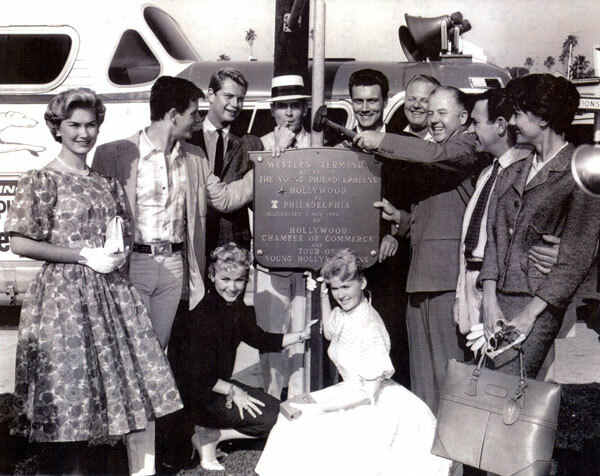 Palm Springs, CA, circa 1952. 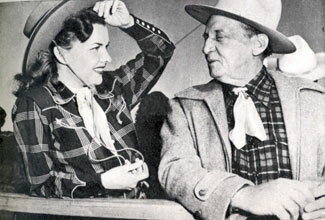 Gale Storm chats with Raymond Hatton at the Palm Springs rodeo circa 1952. 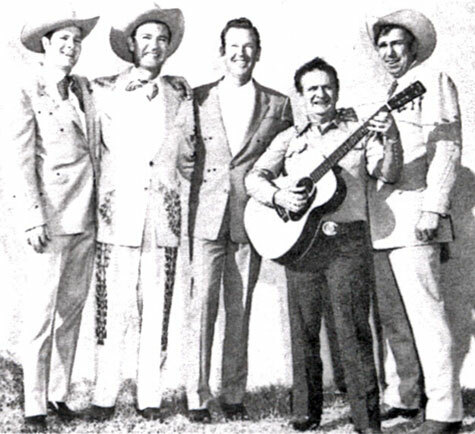 Rex Allen and Slim Pickens. 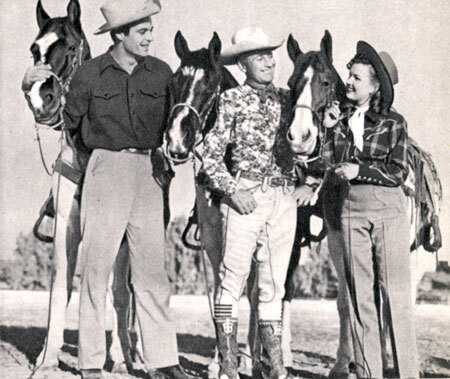 Hoot Gibson seems to enjoy roping June Gale with whom he was romantically linked for a spell in the mid-‘30s. 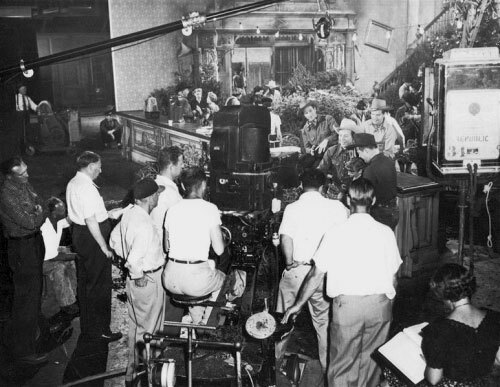 Gale (1911-1996) made three films with Hooter—“Rainbow’s End” (‘35), “Swifty” (‘35) and “Riding Avenger” (‘36). 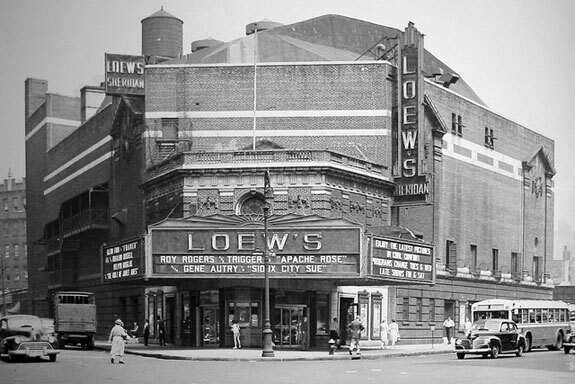 Gale was one of four sisters—June, Jane, Joan, Jean, who all appeared in vaudeville and later in films. 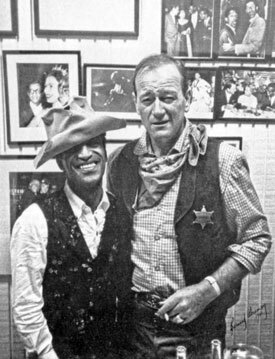 For “Sergeants 3” (‘62) John Wayne generously loaned Sammy Davis Jr. his weathered hat he had worn in John Ford cavalry films and in “Rio Bravo”. 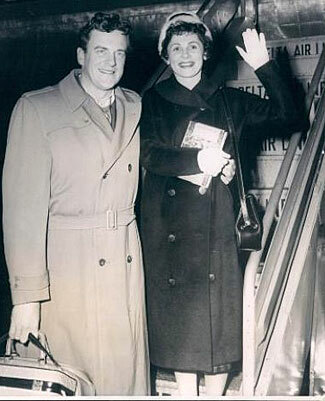 Even with extra padding in the liner the hat still fit Davis loosely. 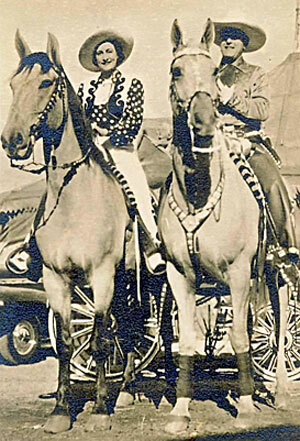 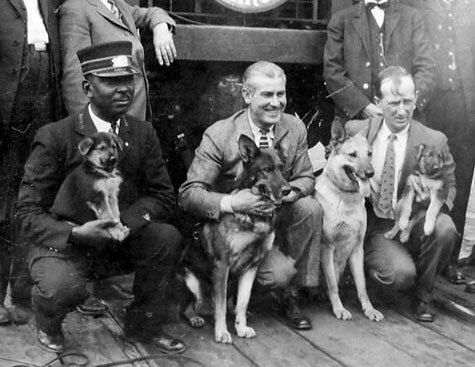 By the time Wayne got the hat back the top front of the crown was badly worn and the hat was ready to be retired. 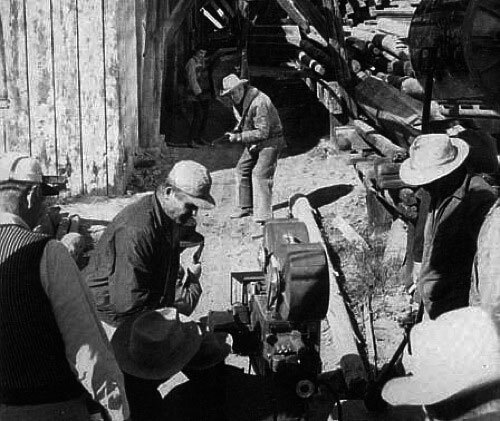 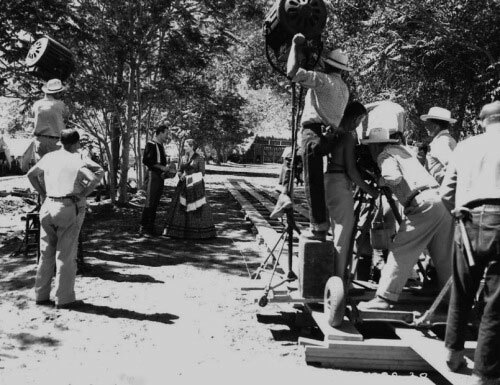 Production shot of James Stewart filming “Night Passage” in 1957.
with Lash LaRue and Whip Wilson, all in the ‘40s.